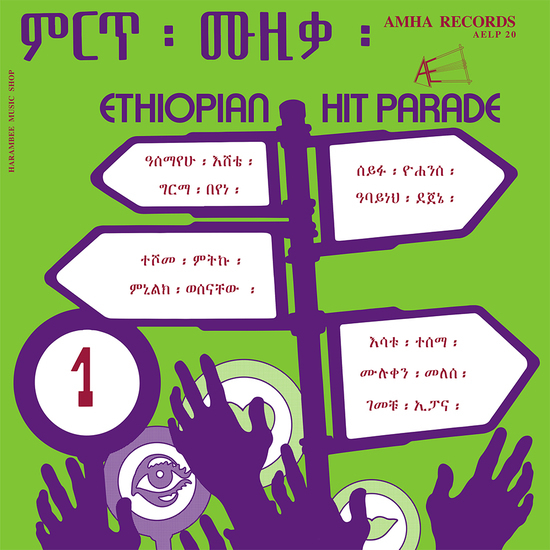 "The Ethiopian Hit Parade series are the most direct evidence of the societal revolution that impacted the music played in ’70s Ethiopia and Erythrea, coming from an insider who was living this breakthrough every day. What is at stake here is “ethio-jazz”: traditional music roots mixed with the contempory Western rhythm’n’blues, soul and jazz songs one could hear on the American military radio broadcasting from Erythrea’s military base, and in Addis Ababa’s clubs and discotheques. The result is a unique and syncretic groove, as much energetic and psychedelic, with horns, organs, drums and guitars exploring the infinite possibilities of fusion. Some of the songs were clandestinely recorded at the Empire-controlled radio, with the help of a courageous sound engineer.